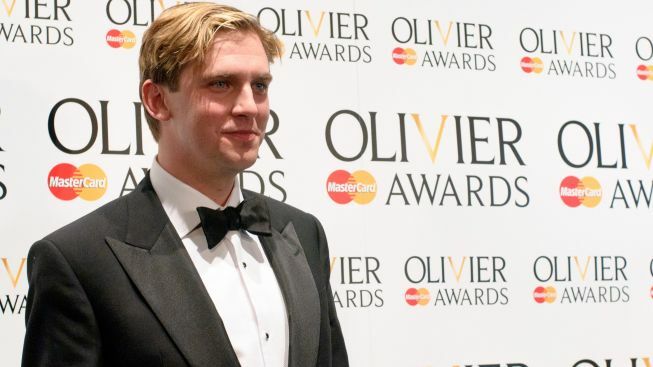 Downton Abbey Heir Arrives to Court "The Heiress"
The reluctant heir to Downton Abbey has made it ashore in New York, where he’s about to both court and star in Broadway's “The Heiress." In a column published this week in the U.K., Dan Stevens ruminated on his Labor Day arrival stateside, writing about the "discombobulation" that occurs when one finds oneself landing “in a foreign field” (i.e., Manhattan) during a change of seasons. “Everyone desperately leaps for the summit of summer before the inevitable descent into winter. I can see why they call it ‘fall’ here,” wrote Stevens, best known for playing the scion of the aristocratic Crawley family on Masterpiece's juicy period drama. In "The Heiress," Stevens plays Morris Townsend, a potential young suitor for the hand of Catherine Sloper (Jessica Chastain of “The Help”), the sheltered daughter of a prominent New Yorker. David Straithairn and Judith Ivey round out the leads in the show, which begins previews Oct. 7 at the Walter Kerr Theatre. This seems a fine opportunity to revisit Broadway.com’s deliciously well-done “dream casting” of a “Downton Abbey” musical that, sadly, only exists in a dream world right now. Victor Garber as the Earl of Grantham. Indeed. Meanwhile, Masterpiece has been slowly doling out video teasers of “Downton Abbey” Season Three, which premieres on PBS in January. Here’s a preview, below, in which Stevens sets up Maggie Smith for a zinger.